Anyone who grabs one of those energy drinks that typically come in a can pretty much knows what they are getting out of it – an hours-long jolt of energy, improved athletic performance and enhanced mental acuity. What you get out of it is not the question, though; it’s what goes into these energy drinks that remain somewhat of a mystery with some drink manufacturers, not to say the risk of possible side effects tied into the ingredients involved. Federal regulations are lax when it comes to requiring energy-drink companies to give full disclosure as to the contents. This is because they are categorized as supplements, not a food product. No one is accusing energy drink producers of putting illegal or dangerous substances into these drinks; at least nothing significant has been widely reported in that regard. There could be risk involved if energy drinks are used excessively or are mixed with prescription medicines already in your system. It’s a topic worth discussing with your doctor. For example, some brands of these energy drinks contain much more caffeine than you will find accounted for on the nutritional/ingredients labels printed on the cans. If there is a concern about abundant caffeine or any other ingredients that could pose a cardiovascular risk – such as a rapid heartbeat – the buying habits among fans of these drinks is not subsiding. According to a study a few years back published in the journal Pediatrics – and cited in a 2013 Time magazine article, more teens than ever are consuming these drinks. Between 2003 and 2008, energy-drink usage among teens jumped from 16 percent to 35 percent. It also was revealed that half of all college students drink at least one to four of these a month; there’s no denying it can make burning the midnight oil to crank out a term paper or study for a final that much more bearable and, supposedly, productive. In 2014, per menshealth.com, Americans spent $4.2 billion on these “supposedly high-octane elixirs,” which explains why manufacturers apparently have not changed the recipe much, if at all, over the years – why should they? As they say, If it ain’t broke, don’t fix it. The formula is heavy on caffeine and sugar with a mix of several other not-so-well-known substances with names such as guarana and taurine. Caffeine. It’s a chemical compound that stimulates the central nervous system. Many people can’t begin a day or make it through one without a cup or two of coffee. An energy drink has the equivalent of about two eight-ounce cups of coffee, enough to give some folks the jitters. Researchers in Finland, menshealth.com adds, have found that the caffeine in two to three cups of joe can quickly raise blood pressure by up to 14 points. Glucose, aka sugar. Then there’s sucrose, which is a combination of fructose and glucose. A study published in the Journal of Applied Physiology found that men who downed a six-ounce glucose drink could pedal a bike for 22 minutes longer than those who were given a sugar-less drink. Keep in mind the extra calories. Glucose’s contributions to the energy jump don’t come cheap. Guarana. The seeds come from a South American shrub; each contains about three times the amount of caffeine found in a coffee bean. You probably won’t find this seed’s caffeine accounted for on the can’s label, but your body will know it’s there. Feeling any jitters yet? Ginseng. 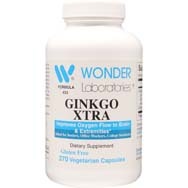 Most of us have heard of this substance, which is an extract made from the ginseng plant’s root. Research hasn’t shown much in the way of improved physical performance from ginseng, but it has been found to boost brainpower, a good thing for those midnight oil burners. 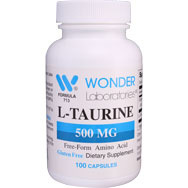 Taurine. Another brainpower booster, apparently. In fact, it is one of the more abundant amino acids in our brains, helping us to maintain neurological function and regulate fluid levels, per foxnews.com. “The concern has been that when it’s mixed with high amounts of caffeine, there could be effects on the heart,” says Sheri Zidenberg-Cherr, Ph.D., a California nutrition specialist. Gingko biloba. A popular herb that is believed to enhance alertness and mental function. 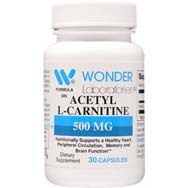 Carnitine. Like taurine, carnitine is naturally produced by our bodies to help turn fat into energy, an appealing premise (if not promise) even to those of us who don’t partake of energy drinks. 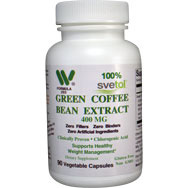 Green tea extract. A source of antioxidants and some caffeine. B vitamins. 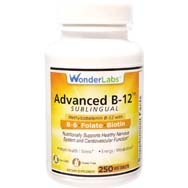 Studies suggest it can help mood and is a required vitamin that helps your body's metabolism for energy production. Anyone taking prescribed medications are strongly advised to discuss energy drink usage with their physicians. There’s a lot at stake here – not just that organic chemistry final in the morning, but the rest of your life as well. Some of these energy drinks are safe and quite effective, but use in moderation . . . and with a health expert’s guidance.